During the warmer weather many of us think about ice cream after dinner, road trips with our family to explore Michigan’s endless nature opportunities or visits to the beach. For Michigan’s nearly 1,600 dairy farmers, animal care is always the first priority, and our state’s climate means they shift from using the curtains on the freestall barns to protect the cows from the wind and harsh weather and putting coats on their calves, to raising the curtains and turning on the fans in the barn to keep the cows cool in the summer. 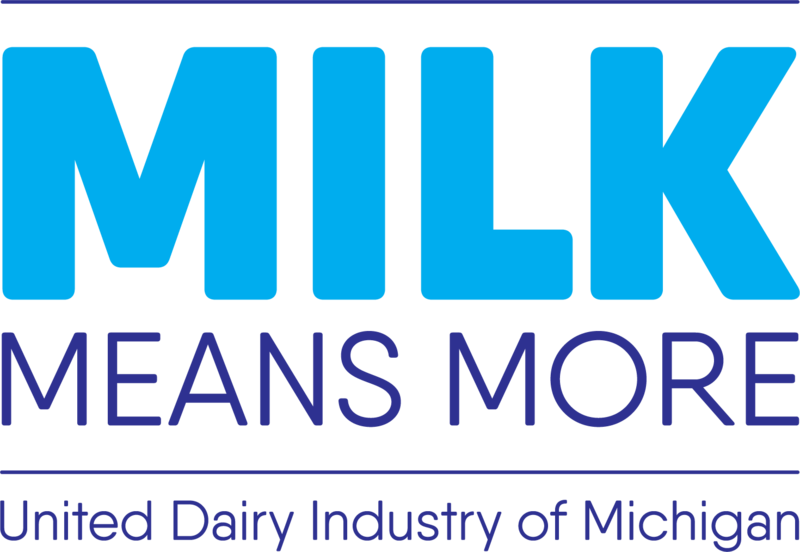 By keeping their cows a priority year round, Michigan’s dairy farmers ensure we have milk, cheese and yogurt to share with our families. Taking good care of their cows is a top priority for dairy farm families. 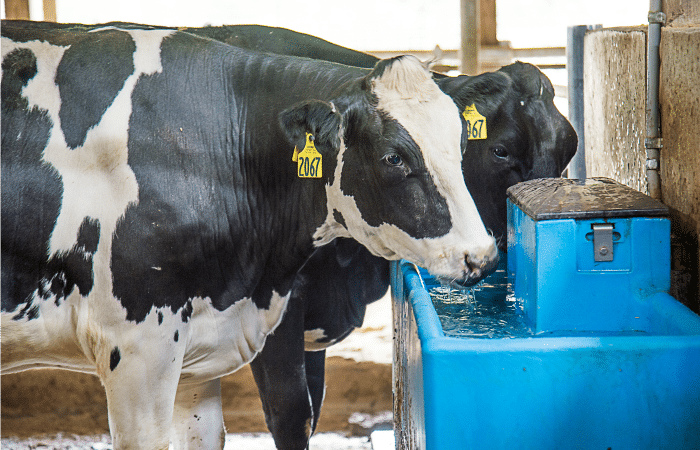 At Goma Dairy in Marlette, Michigan, the family’s 3,000 cows live in freestall barns that are “just like sleeping on a beach,” says Gertie van den Goor. New sand is added each week to ensure the cows are comfortable. “Cows prefer an environment that is controlled and consistent each day. They don’t like to sunbathe or sweat, so they are most comfortable where the temperature isn’t too hot and where the sun is not shining directly on them,” says Gertie. In fact, the van den Goor children used to joke the cows had air conditioning before the house did. Stepping into the barn at Goma Dairy on a nearly 80-degree day, you understand the kids’ statement. The fans are on, moving fresh air throughout the entire length of the barn, and the roof is blocking the hot rays of the sun. The cows are content, eating feed that’s pushed closer to them each hour, lying down on their sand beds and drinking the fresh water that is always available. A new barn, or “cow castle” as the family affectionately refers to it, was just built several years ago with added features to focus on the cows. Just like at the van den Goor farm, the Okkema family installed fans the entire length of each barn, to keep the air moving for the cows. They also raised the roof, so to speak, by raising the height of the new barn a few feet to accommodate the natural air flow, in addition to the flow from the fans. Another aspect found on both farms are curtains that can be lowered in the winter to keep the cold, wind, and snow off the cows, and raised in the summer to allow the fresh breeze inside, much like when we open the windows in our homes. In their new barn, the Okkemas also installed foil insulation to help keep the temperature inside five degrees cooler in the summer and five degrees warmer in the winter. Both dairies also have sprinkler systems that mist water over the cows when the air in the barn reaches a certain temperature. In addition to the fans, sprinklers and curtains, fresh feed and clean water round out the list of needs for the cows. The last two are needed not only in the summertime, but year-round. Both families have deep roots in caring for cows and are quick to add it’s a team effort. A veterinarian visits each week, and a nutritionist creates a balanced diet for the cows. According to Geert van den Goor, “Caring for cows is teamwork; we use the expertise of others.” Most important are the employees, who alongside both families, care for the animals each day. Every day on the farm, “At least six sets of eyes pass by the cows and are keeping watch over them,” said Ramona Okkema. In the summer, those eyes are focused on keeping the cows cool as the temperature rises. Want to learn more about how farmers care for their cows? Visit the Animal Care section of the Milk Means More blog to find out!